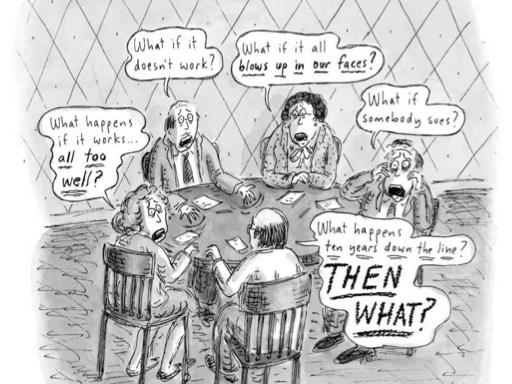 I thought about this 2003 Roz Chast cartoon “Worry Tank,” as global markets collapsed in the aftermath of the Federal Reserve policy meeting and the Chairman’s subsequent news conference. It’s as if we are all worried that the economy is actually stronger than we thought - gasp! As a result, the Fed should be able to stop spiking the punchbowl later this year and eventually, it will remove the punchbowl altogether, and we will somehow learn to muddle through on our own. Poor Bernanke: Even when he’s trying to tell everyone that the economy is improving and Fed stimulus will eventually not be necessary to boost growth, asset values crater. There is an irony in the timing of the market’s first 2013 convulsion and the Fed’s upgraded view: It comes on the four-year anniversary of the end of the recession. The Business Cycle Dating Committee of the National Bureau of Economic Research “Determined that a trough in business activity occurred in the U.S. economy in June 2009.” The 18-month recession that began in December 2007 was the longest of any recession since World War II. Of course it wasn’t really the end: The ensuing four years have been highlighted by a slow and painful recovery, during which job losses continued, housing prices kept dropping and every step forward was met with at least two steps back. Even today, it’s hard to feel upbeat about an economy that will likely grow by about 2.5 percent this year and still has 11.8 million people out of work. The Fed acknowledges that things aren’t all rosy, but four years into the recovery, the FOMC “sees the downside risks to the outlook for the economy and the labor market as having diminished since the fall.” Progress, right? Not exactly, according to the reaction of global markets. After learning more details about how the central bank would taper its bond buying and the conditions under which a change in policy might occur, investors freaked out by selling stocks, bonds, commodities and just about anything else where a bid existed. Was the sell-off an overreaction? Maybe not; after all, but for the Fed’s open-ended bond buying program launched last September, risk assets like stocks likely would not have soared to their recent highs and 10-year bond yields, which dropped to 1.62 percent in early May, would likely have been higher, according Scott Minerd, global chief investment officer at Guggenheim Partners. He recently noted that Fed buying had badly distorted the bond market and that “The yield on 10-year Treasuries would be roughly 150 basis points higher than it is today” without the Fed’s actions. (This comment was made prior to last week's pop in yields.) An improving economy plus the eventual exit of the Fed from the market may mean that the sell-off in bonds this week (the steepest weekly selloff in price and jump in yields in a decade) was warranted. As noted last week, a healthy economy should be able to manage a steady and expected rise in yields, versus a steep and a surprise one. Mark Spindel founder and Chief Investment Officer of Potomac River Capital LLC in Washington, DC says without QE3, “The economy would be in worse shape than it is today. Unemployment would be higher - and inflation, which was already low and falling, would have been even lower and we may have even seen deflation.” That would obviously be an ugly backdrop for stocks, so in Spindel’s mind “QE3 has been responsible for almost the entire move higher in the equities market since last fall.” If he is correct, then the Fed’s policies may have delivered what was promised and we should quit complaining about a 5 percent drop from the recent highs. THE WEEK AHEAD: It will be a fairly active week on the economic calendar, highlighted by regional manufacturing surveys, durable goods orders, personal income/spending and updates on housing. The third and final reading of first-quarter growth is expected to remain at 2.4 percent.